built on servant leadership and innovation. 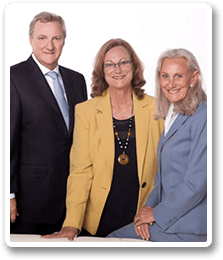 Following in their footsteps their 3 children: Lonnie III, Patricia and Vivian Pierce now spearhead the company into the future with the same innovative spirit as their parents. With over 500,000 in-force policies, policyholders in all 50 states (and across the Atlantic and Pacific) and over 500 combined years of experience we continue to grow exponentially. 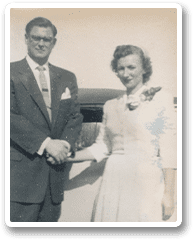 Pierce Insurance is one of the largest privately held employee benefit companies in the Southeast. We begin each day asking: How may we positively impact the lives of others? The answer is clear. Provide best-in-class benefits at lower premiums with exceptional service. In turn, we are inspired by helping others. 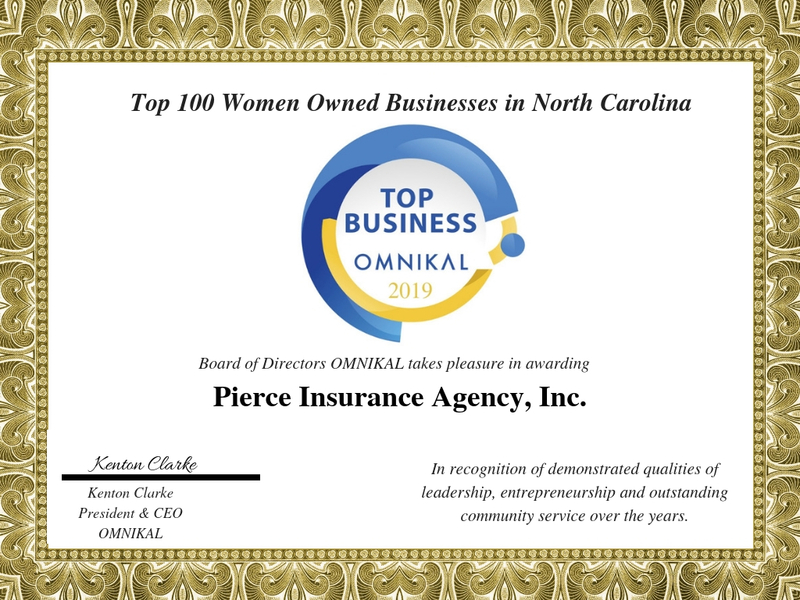 The Board of Directors of OMNIKAL takes pleasure in awarding Pierce Insurance Agency, Inc., in recognition of demonstrated leadership, entrepreneurship and outstanding community service over the years as a 2019 Top 100 Women Owned Business in North Carolina.